Mining will undermine the island’s ability to feed itself or develop its significant eco tourism potential. Many people were already gathered outside a vacant lot in Sitio Olango that early morning packed with their usual campaign paraphernalia (banners and placards) stating their opposition against the proposed Sibuyan Nickel Project. The controversial Executive Order 79 signed by President Benigno Simeon C. Aquino III and its Implementing Rules and Regulations are already set in place. What’s next? Zubiri identified these species as the Palawan fly fox, Isarog shrew mouse, Binturong, Dinagat hairy-tailed rat, Dinagat hairy-tailed cloud rat, Panay bushy-tailed cloud rat, Ilin hairy-tailed cloud rat, bushy-tailed cloud rat; flying lemur, Philippine tube-nosed fruit bat, Southern Luzon giant cloud rat, Dinagat gymnure, wooly flying fox, grey flying fox, small flying fox, white-winged fruit bat, little golden-mantled flying fox, bearded pig, Visayan warty pig, Philippine warty pig and the Calamian treeshrew. One of our leaders had been shot to death that very day in an isolated island called Sibuyan. He was killed by an armed mining security officer while leading a protest against a research activity funded by a mining company. He was infuriated by the fact that mining conglomerate dummies were given special license to cut some 70,000 trees and the world’s largest nickel mining company was trying to invest in the island. I had the great pleasure of visiting Romblon's Sibuyan Island last year, but it was not the first time I saw it. In 2007, it was the site of a huge protest action, with the whole town expressing indignation at mining activities in the community. Commemorating the fifth death anniversary of slain anti-mining activist and public servant Armin Rios Marin, friends, relatives and other advocates gathered in his residence in Sibuyan for a silent reflection and candle-lighting ceremony. Municipality of San Fernando in Sibuyan, Romblon will not participate in any process pertaining to the application for Mineral Production Sharing Agreement (MPSA) of Fil-China Mining Development Corporation, said Mayor Dindo C. Rios. 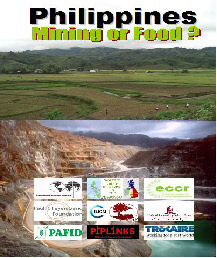 In a letter dated last August 13 sent to Roland de Jesus, MGB Regional Director for MIMAROPA, Mayor Rios stressed the provisions in the mining Executive Order 79 (EO 79) stating that protected areas shall be spared from mining. San Fernando Mayor Dindo Rios in Sibuyan, Romblon, will have nothing to do with the application for Mineral Production Sharing Agreement of Fil-China Mining Development Corp. to extract feldspar. In a letter dated August 13 sent to Mines and Geoscience Bureau Regional director for MIMAROPA Roland de Jesus, he justified the town’s position citing Executive Order 79 on protected areas. The municipality of San Fernando in Sibuyan, Romblon, will not be involved in processing Fil-China Mining Development Corporation’s application for a mineral production sharing agreement, Mayor Dindo C. Rios said Monday. 'Birthdays: More fun and fearless in Sibuyan"